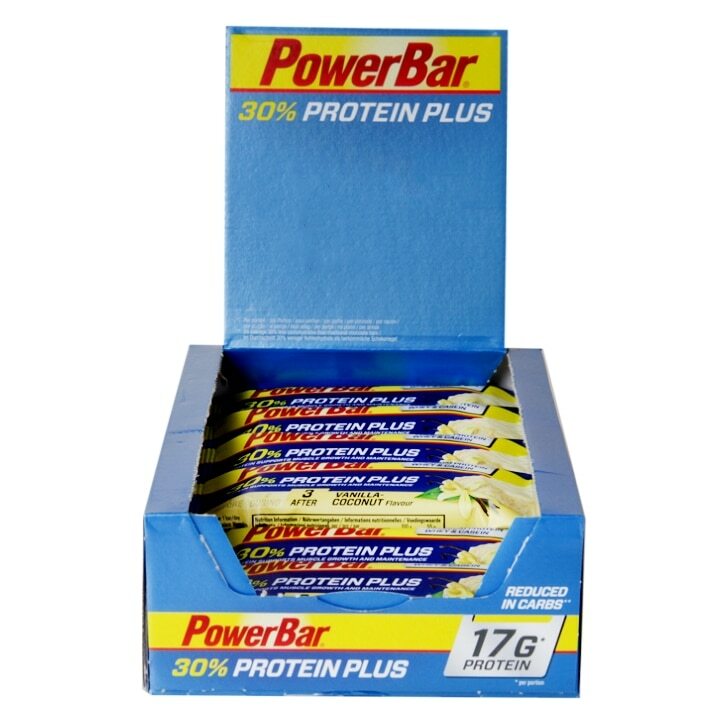 Powerbar ProteinPlus Vanilla Coconut Bar is rated 4.1 out of 5 by 16. Rated 1 out of 5 by geni3483 from too much sugar Had no idea how much sugar was in these bars - my fault for not reading the small print but at 19g per bar you may's well eat chocolate. Rated 5 out of 5 by soph123 from Bought these many times - they taste amazing These taste amazing, especially if you love white chocolate. I'm not a massive coconut person but the flavours go perfectly. They are also a lot more filling than most chocolate bars. Rated 3 out of 5 by Catherine1192 from Amazing Taste but so much sugar! This product has a great taste however I didn't realise until I really looked at the packagaing how much of it was sugar! 17.5g of sugar per bar is just way too much, might as well be having a chocolate bar! I would recommend other protein bars over this, though I do really enjoy the taste I don't feel it gives me what I really need from an after workout bar.